The importance of clay as a medium of culture in what many call the “cradle of civilization” some 4,000 years ago is the focus of a new exhibit at Vanderbilt Divinity Library. Among the highlights of “Cultures in Clay: The Shaping of Ancient Near Eastern Civilizations” are clay tablets with cuneiform—a wedge-shaped writing system used by ancient Sumerians, Babylonians and Assyrians. “Clay, as commonplace as it was, became a vital ingredient in everyday life over thousands of years in areas that include communication, construction and works of art,” said Douglas Knight, Drucilla Moore Buffington Professor of Hebrew Bible, emeritus, and one of the exhibit’s curators. 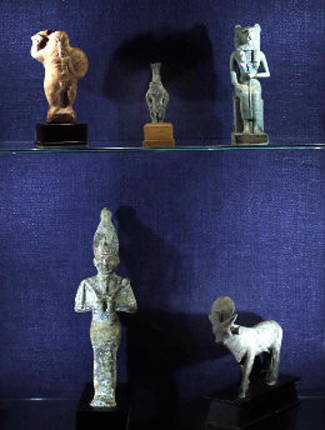 Artifacts from Knight’s personal collection on loan for the exhibit include distinctive Egyptian figurines as well as artifacts and pottery from ancient Israel. “Cultures in Clay” also draws from two Vanderbilt collections: the Cuneiform Tablets Collection, donated by the family of James Stevenson in 1989, and the Arno Poebel Collection, acquired by the Divinity Library in 1968. Stevenson was a biblical scholar and Assyriologist who was a longtime faculty member at Vanderbilt. His tablets date from around 2000 B.C. Poebel was an internationally esteemed scholar of ancient Near Eastern studies who wrote extensively in the field of Sumerian language and literature. His collection is rich in cuneiform text illustrations and dictionaries covering a variety of ancient languages. 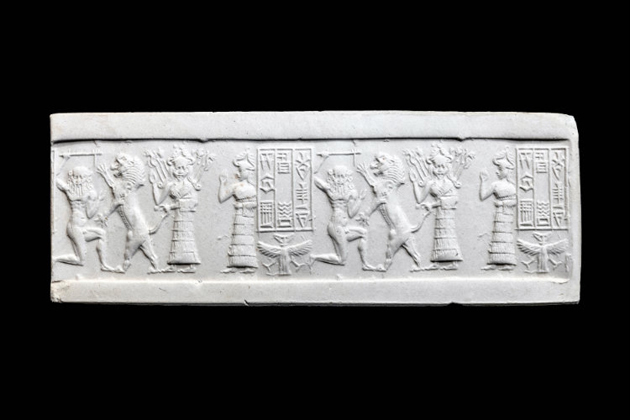 Azzoni has been researching these cuneiform tablets with some of her graduate students. 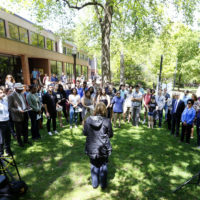 “It’s extremely beneficial for these future scholars to learn the ‘trade’ in all of its different facets,” she said. 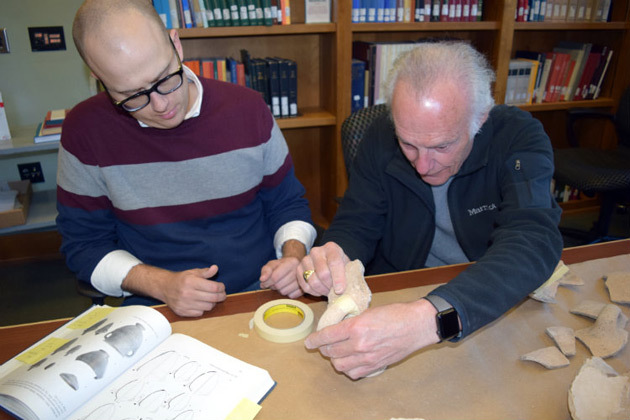 Knight noted that for the past two decades, more than 50 Vanderbilt students have taken part in archaeological digs with him and other professors at Megiddo and Jezreel, Israel. Once a prominent ancient city, Megiddo remains a rich source from which archaeologists are learning about life in the ancient Near East, thousands of years ago. Meanwhile, the Jezreel Valley was part of a major thoroughfare in biblical times. Both sites are considered historically significant for the study of Israelite life during the Iron Age, from the 12th to the sixth centuries B.C., but also for earlier and later periods. In addition to Azzoni and Knight, the exhibit has been curated by Library Exhibit Coordinator Charlotte Lew and graduate students Serena McMillian, Jonathan Redding and Michael Sekuras. Andrea Seri, professor of ancient history at the Universidad Nacional de Córdoba, Argentina, has contributed her expertise toward identifying and translating the Stevenson tablets and will return in February to conduct a workshop on reading the tablets and other parts of the research process for interested graduate students. The workshop is sponsored by the Program in Classical and Mediterranean Studies. 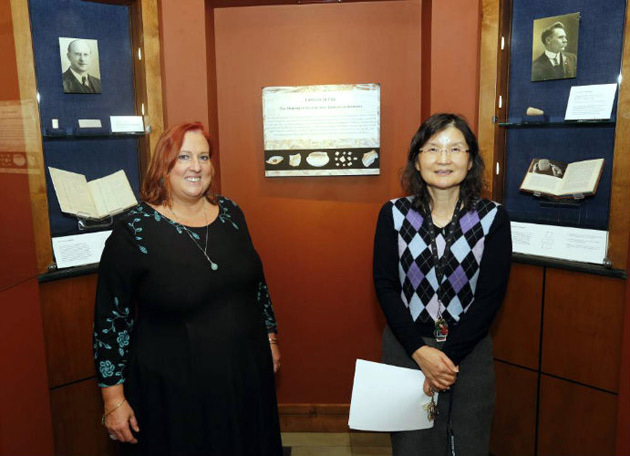 “Cultures of Clay” is on exhibit at the Divilnity Library. It is free and open to the public through July 2018. Check the Vanderbilt Library website for hours of operation.